If storage is an issue in your home look no further, why not treat yourself to a lovely storage chest from our collection of home accessories. Introducing this beautiful Silver Rustic Storage Chests. With three chests you can keep them together or spread them round your home. 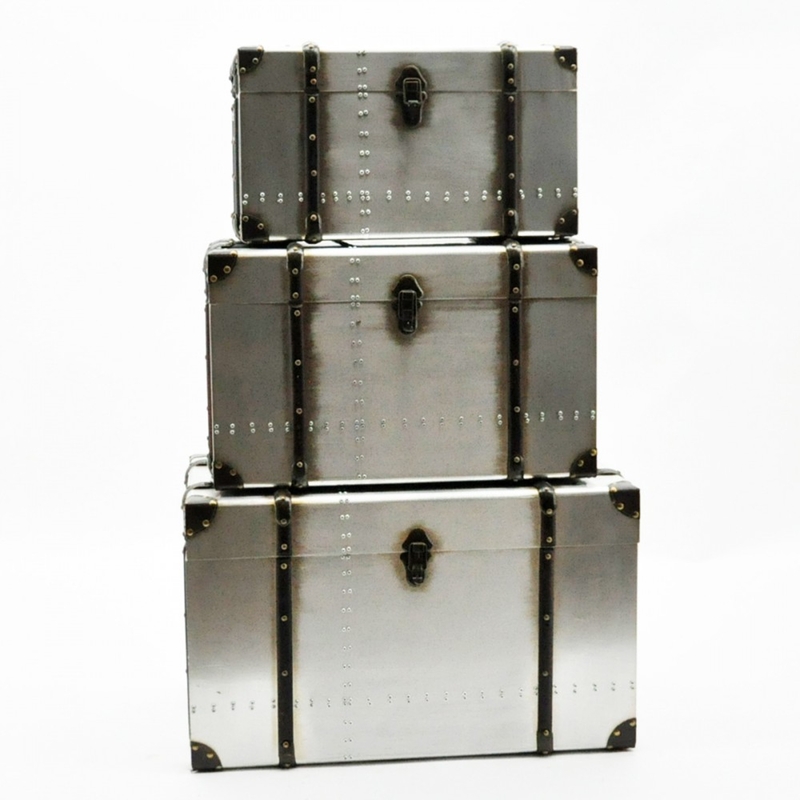 Complete in a silver colour with a rustic look these storage chests will bring a modern feel to your home as well as solving your storage issues. Made to the highest quality these storage chests are a must have in your home and are ensured to last you a lifetime.